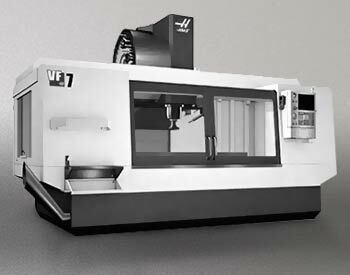 Get information on used CNC lathes. 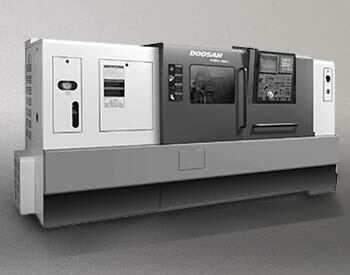 Ask a CNC lathe expert. Get information on used HMCs. 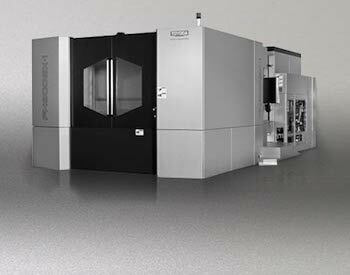 Find your horizontal machining center. 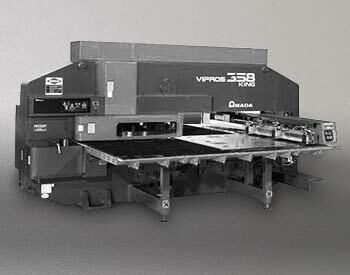 Get information on used VMCs. Ask a vertical machining expert. Get information on used equipment. Ask a fabrication equipment expert. 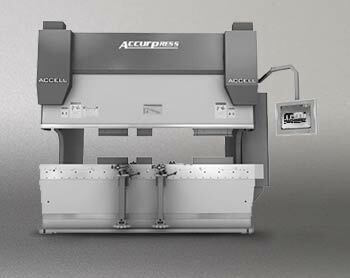 Get information on used CO2 and fiber lasers. 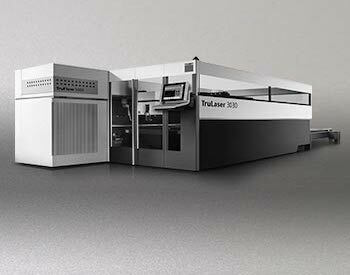 Ask a laser cutting machine expert. 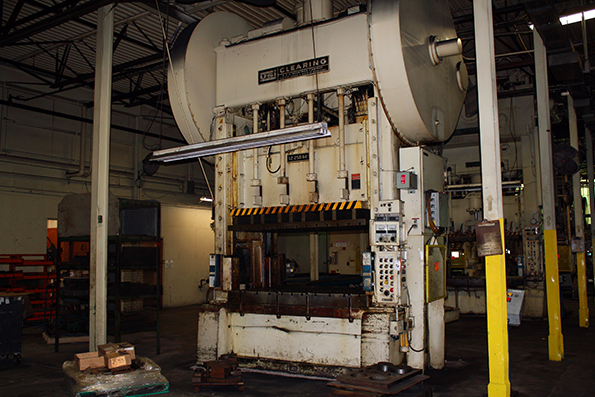 Get information on used presses. Ask a press and stamping expert. The premium used machine inventory showcased here is the result of the time, consideration and research MMI invests in procuring pre-owned quality and in-demand machinery for our customers. 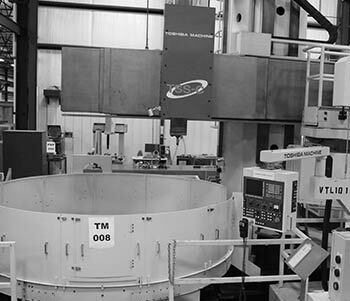 MMI hosts live online auctions with a variety of used cnc machines, machine tools, and manual equipment, providing quality used machines at competitive rates. MMI offers unsurpassed support and turnkey services to assist buyers. 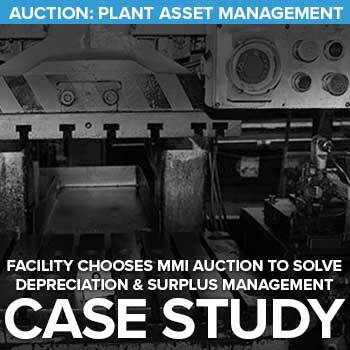 If you need to move your machinery quickly, MMI can help with one of our quick, cash sale options at market value. Our options vary from a single machine purchase to the purchase of an entire facility’s equipment. Auctions work well because they provide value for both the buyer and the seller. The nature of an auction allows the competitive market to determine the fair market value of each piece of machinery. MMI offers managed sale services for our customers. 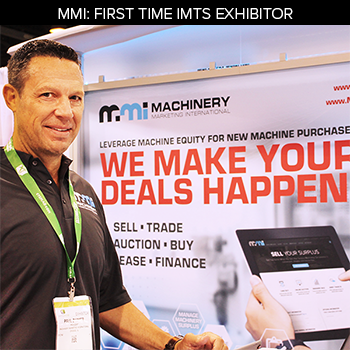 Utilizing resources throughout the MMI network, buyers can find the premium, specialized machines they need while allowing sellers to retain more control throughout the process. Custom used machine trade in solutions assist new equipment dealers, facility machine and equipment managers, and individual operators with options to leverage machinery assets toward machinery upgrades. Looking for something Specific? Activate a search agent and we will find it for you. Need more information? Contact us about logistics and financing options. 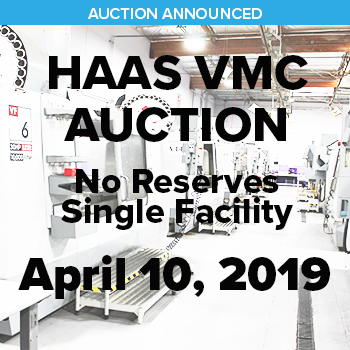 Machinery Marketing International will conduct a no reserve, single facility auction April 10 featuring Haas VMCs. 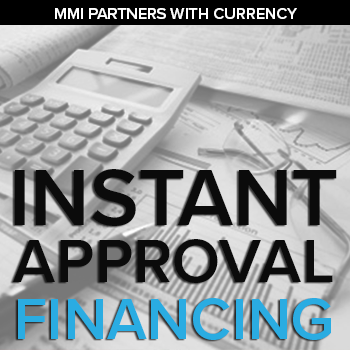 MMI has partnered with Currency™ to offer instant approval financing for used machinery buyers. MMI buyers will be able to obtain instant approvals and access competitive custom credit solutions for all credit types. 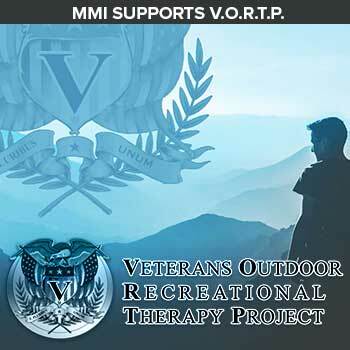 The Veteran Outdoor Recreational Therapy Project (V.O.R.T.P.) is working to help returning veterans and their families. Founded by veteran Jesse Walth, this non-profit organization seeks to enrich the lives of returning warriors from all branches of the military through camaraderie and physical activity. Read More Learn More About V.O.R.T.P. MMI's new website features a sleek, easy to navigate design with a completely revamped online storefront. A greater Chicagoland industrial manufacturer needed to clear out older machines to keep up with new demands, but they struggled with the hassle of individually selling off the used equipment. There were many instances in the past they had to scrap perfectly good machines that could’ve fetched a profit if marketed, but they simply didn’t have the time or the capability. After reaching out to Machinery Marketing International, they were able to set up a managed auction and sell off all of the roughly 80 machines using their large marketing network. 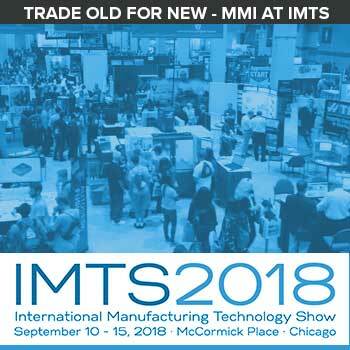 At IMTS, MMI Will Show New Equipment Dealers & Manufacturers the Quickest, Easiest Ways to Leverage Surplus Equipment Toward Financing New Machinery as a Service for their Customers! It was a true honor to be featured among the best and brightest this industry has to offer. From our exhibition at the far end of the North Building’s third level, we had the opportunity to talk to over a hundred guests, ranging from owners of small local shops to representatives of huge global companies. 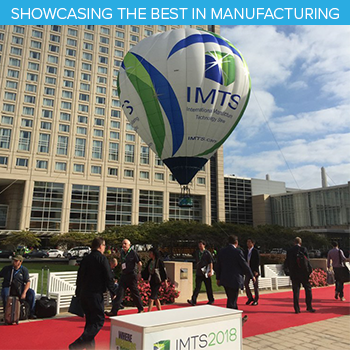 Whether you just couldn’t make the trip out to Chicago, or you simply couldn’t get to everything featured on the mammoth trade show, MMI’s got the scoop on some of the most exciting stuff we saw at IMTS this year! The plant is a roll forming and metal corrugating company which makes corrugated roofing and siding material for industrial and commercial buildings. After deciding they wanted to offer new products, the company needed to sell a few large machines they no longer needed to make some room for the new machines that would require. 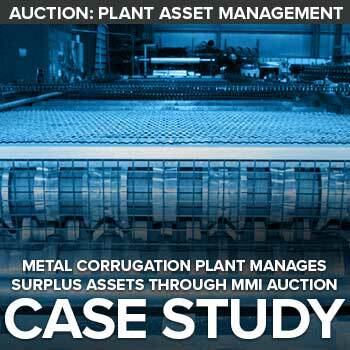 MMI was able to auction these machines efficiently and at great value.